The Steubenville High School Key Club was founded on December 12, 1949 as an all male community service club for students. Sponsored by the Steubenville Kiwanis Club, these students would provide the community with various service projects throughout the school year. In 2004 the Key Club became available to both male and female students. The club has annual elections for officers and offers scholarships to senior members. Key Club sponsors Honor America, Sadie Hawkins, and the Sweetheart Dance each year. The members help with various community groups such as The Salvation Army, Teramana Cancer Center, Franciscan University, veterans groups, and the City of Steubenville. The students attend weekly meetings to discuss planned events and assist with many school sponsored dinners and assemblies. The Y-Teens focuses on areas including leadership training, service learning, and mentoring, and students get to participate in fun, inspiring activities such as: community service, including peer-to-peer projects mentoring, job shadowing, and intergenerational events. Workshops on life skills and future planning, including: stress and time management, Healthy living, healthy relationships, college planning and the job search. Businesswomen conduct meetings daily, make decisions and represent themselves and their communities in a variety of ways. NIKE is a great way for a female students to become comfortable with their abilities, strengthen oral and written skills, learn how to network and to obtain a better idea of what all opportunities await come graduation with the help of mentors. Throughout the year members attend workshops that focus on budgeting, professionalism, college and job applications and resume writing. The mission of the National BETA Club is to promote the ideals of academic achievement, character, service and leadership among secondary school students. The National Honor Society (NHS) is the nation's premier organization established to recognize outstanding high school students. More than just an honor roll, NHS serves to honor those students who have demonstrated excellence in the areas of scholarship, leadership, service, and character. Four main purposes have guided chapters of NHS from the beginning: to create enthusiasm for scholarship; to stimulate a desire to render service; to promote leadership; and to develop character in the students of secondary schools. Interact is Rotary International's service club for High School Students ages 14 - 18. Sponsored by the Steubenville Rotary Club, Big Red Interact offers students the chance to make new friends, improve their community (community service), and develop leadership skills. Additional to volunteer work within the community, the Big Red Interact Club must carry out two fundraisers each year: one that helps the school or community and one that promotes international understanding. 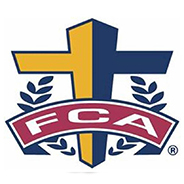 Fellowship of Christian Athletes (FCA) is a student-led Christian club at Steubenville High School. Students fellowship together, study bible passages, and do acts of service and encouragement in the school and around the community. The club is open to all faiths and not exclusive to athletes.